Activists are opposing the construction of a pipeline beneath New York City that will carry the controversial highly pressurized gas. A massive new pipeline that will carry hydrofracked gas is being constructed in New York City. The pipeline, built by subsidiaries of Spectra Energy, will carry the gas from the Marcellus Shale, a bed that lies under Pennsylvania and New York State, into New York City’s gas infrastructure. Naturally, the construction of such a pipeline, carrying controversial highly pressurized gas, has been met with resistance. In the spring of 2012, Occupy the Pipeline emerged, raising health and safety concerns about the pipeline. In the video, Occupy the Pipeline also addresses other safety concerns, for example, contaminated water and a 2010 explosion from a pipeline of similar size and pressure in San Bruno, California. That explosion killed eight people and destroyed thirty-eight homes. Overall, Spectra Energy has a dismal safety record that includes seventeen safety violations in 2011, a $15 billion fine for contaminated pipelines and multiple facility explosions. At one time, Spectra was named the number-one gas polluter in British Columbia. “This is the first time that [the Federal Energy Regulatory Commission] has approved a pipeline of this kind in such a densely populated area and we believe it’s a disaster in waiting,” he adds. The 2010 documentary Gasland, which detailed the consequences of hydraulic fracturing, documented cases of homeowners who say their water has been discolored, and in some communities, people were able to ignite the water coming out of their faucets. “The Spectra Pipeline would increase the demand for fracked gas and make New Yorkers complicit in a method of fossil fuel extraction that is causing untold harm to the environment in Pennsylvania, Ohio and elsewhere,” says Walton. In October 2012, George Pingeon, 27, a protester form Occupy the Pipeline, chained himself to a backhoe in order to delay the pipeline construction. Pingeon remained locked to the backhoe for an hour before police arrived and collared him. A month earlier, police arrested six pipeline protesters after they chained themselves to Spectra’s construction equipment on the Gransevoort Pier. When Governor Andrew Cuomo attended a conference at the Sheraton Hotel in midtown Manhattan last August, he was greeted by over 100 protesters who had gathered outside to protest against fracking. At the time, Cuomo said there’s a lot of emotion surrounding the issue. Occupy the Pipeline activists are also fans of science, says Walton. Concerns over the pipeline construction extend beyond the activist community. West Village residents have tried to derail the pipeline construction (upward of 5,000 complaints have been filed by locals), and in September of last year, opponents sued the Hudson River Park Trust for allowing Spectra to build beneath the waterfront park without first doing an extensive environmental review. 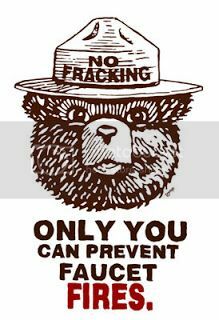 Recently, the US Forest Service began to consider allowing horizontal drilling for natural gas in the George Washington National Forest and the Pawnee National Grasslands. When will big environmental groups divest from fossil fuels? Read Naomi Klein’s column.